5 How popular is daily fantasy sports in New York? Daily fantasy sports (DFS) is legal in New York. On August 3, 2016, Governor Andrew Cuomo signed a bill into law allowing DFS sites to serve New Yorkers. This came after a year-long legal battle between the states and the DFS industry’s largest operators. The battle started with New York Attorney General Eric Schneiderman issuing a cease-and-desist order to DFS operators DraftKings and FanDuel in November 2015. He claimed DFS was illegal gambling under state law. Schneiderman even called the DFS industry a multi-billion-dollar scheme evading the law and fleecing sports fans. DraftKings and FanDuel sued, claiming DFS was a game of skill. State senator Michael Ranzenhofer then introduced a bill to regulate DFS as well as clarify it as a game of skill as the case moved forward. Schneiderman maintained DFS was gambling, and really just a rebranded version of sports betting. FanDuel promised to stop serving New York customers until a court settled the issue. However, DraftKings refused to comply. In December 2015, a court granted a temporary injunction, preventing DraftKings and FanDuel from serving residents of New York. However, DraftKings and FanDuel were granted a stay in January 2016, allowing them to continue to operate in New York while the case was on appeal. DraftKings and FanDuel partially settled the case in 2016, agreeing to stop offering paid games in New York and abide by the results of an upcoming appeals court hearing. 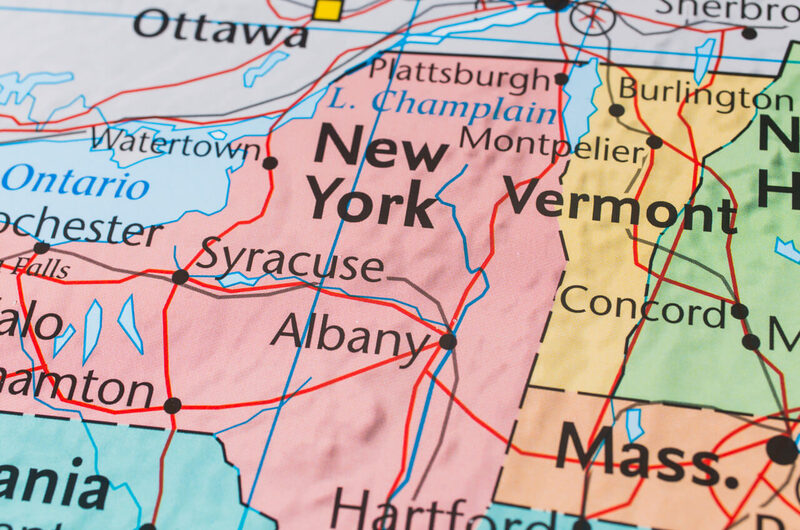 The New York Legislature passed laws regulating and taxing DFS operations before the case went to the appeals court. Now, all cease-and-desist orders are lifted and DFS sites operate in a legal and regulated market in New York. There are a number of regulations, fees, and taxes associated with DFS operations in New York. Bars DFS contests involving collegiate sports and horse races. Exempts DFS from the parts of the New York penal code dealing with gambling. Schneiderman came out of the gate swinging when it came to DFS. He called DFS illegal gambling, and claimed DFS operators were running a multi-billion-dollar scheme evading the law and fleecing sports fans. He followed that up with a claim DFS was just a re-branded version of sports betting. Schneiderman issued a cease-and-desist order to the biggest DFS operators in the country, and defended it when they sued. However, as it became clear state lawmakers were going to pass legislation taxing and regulating DFS, Schneiderman began to soften. He reached a settlement with DraftKings and FanDuel in advance of a legal appeal and new legislation passing. In the end, Schneiderman also settled the false advertising and consumer fraud claims, forcing DraftKings and FanDuel to pay $6 million each in penalties. Of course, FanDuel and DraftKings are the two most popular. In fact, FanDuel and DraftKings enjoy better than 90 percent DFS market share across the United States. How popular is daily fantasy sports in New York? New York is the fourth-most populous state in America, and professional sports is as popular in the state as anywhere in the country. It is a huge market for DFS. Considering the legislation passed in 2016, it is also a precedent-setting state for the industry. Estimates suggest DFS sites are pulling in as much as $15 million in revenue from New York players. In fact, the state is responsible for almost 10 percent of all DFS contest entry fees in the United States. It is estimated New York has more than 90,000 active DFS players. Those players are responsible for more than $150 million in annual entry fees, the second most of any state, trailing only California.